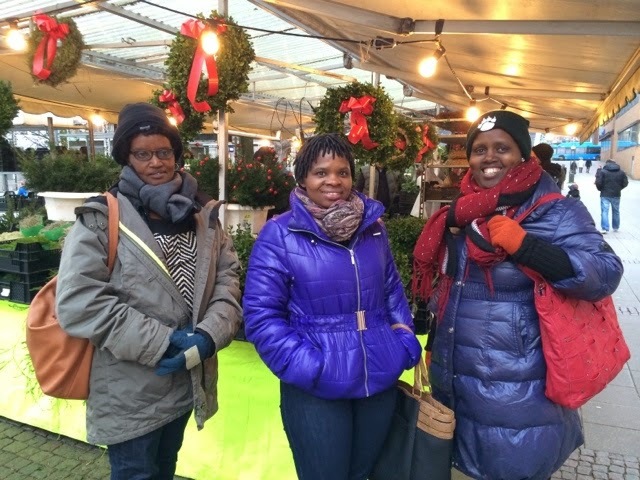 Marguerite Umubyeyi, the Library sub programme team leader (and director of library at Huye Campus/College of Arts and Social Sciences) and Fébronie Mukabayire (director of library at the College of Medicine and Health Sciences) made it all the way to winter cold and dark Sweden. They arrived on Sunday 30th of November for two weeks of job shadowing and additional study visits. Chritsmas market at Stora Torget in Borås. Fébronie Mukabayire to the left and Marguerite Umubyeyi. 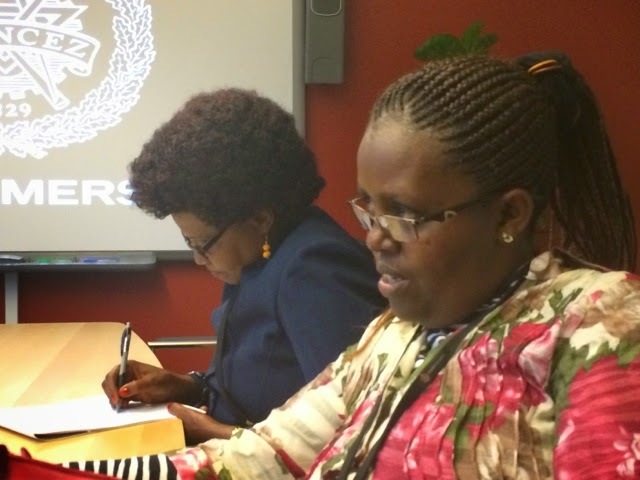 In the middle, doctoral student Berthilde Uwamwezi. Marguerite and Fébronie will share news here on the blog. The programme will take them to several libraries, and some of the questions to be studied are: library space organization, (integrated) library systems, harmonized services... and much more! Fébronie in the backtround and Marguerite.